Governor Terry McAuliffe kicked off the Virginia Family Access to Medical Insurance Security (FAMIS) program’s back-to-school enrollment campaign at a press conference at Virginia Commonwealth University’s McGlothlin Medical Education Center. 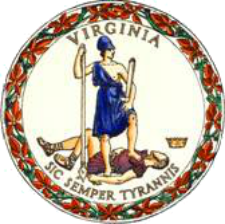 FAMIS is part of Virginia’s Medicaid program. The back-to-school campaign launch also coincides with this week’s 50th anniversary of the signing, by President Lyndon Johnson, of legislation creating the Medicare and Medicaid programs. To reach the FAMIS enrollment goal, the Virginia Department of Medical Assistance Services has increased regional field outreach activities, and expanded its contract with the Virginia Health Care Foundation to pay for five additional Project Connect application assistance and outreach projects. The FAMIS back-to-school campaign will distribute more than 1.5 million flyers, in English and Spanish, to children in public schools around the state. In addition, nearly 550,000 FAMIS back-to-school Free and Reduced Lunch inserts will be sent to parents by school nutrition supervisors throughout the state. Beginning in August, television ads will air in local media markets to let parents know about the FAMIS program, and to tell them that they can enroll through the Cover Virginia website (coverva.org) or telephone number (1-855-242-8282). The 30-second ad, with the theme “Parenting Challenges,” will air beginning in early August in Southwest and western Virginia, and in September in the central, eastern and northern parts of the state, as schools start. The television ads were shot in Virginia, using local small businesses (Big River Advertising, Trademarky Films, Mondial Creative, and Rainmaker Studios). The campaign also includes digital ads and outreach to the Hispanic community through English and Spanish-language radio ads, and print ads in Spanish-language newspapers. The ads will air at the start of the school year, and again during the winter flu season and in the spring. Targeted media markets for the campaign will include Winchester, Fredericksburg, Harrisonburg, Charlottesville, Bristol, Roanoke, Richmond, Norfolk, Northern Virginia, and the counties of Patrick and Mecklenburg.